By no means am I a football fan! Frankly, I didn’t even know who was playing in this year’s Super Bowl until I noticed that all of California seemed to be rooting for the Rams. I believe a football game is a metaphor for your business. The Patriots had a decision to make. They could have used one strategy or another to defeat the Rams. Fortunately, they chose correctly. There was no amount of wishing, hoping or wanting to make that strategy decision, there was no choice. The same is true with your business, you have to take action. You must make those hard decisions. The good news is that if you make a decision which turned out to be a wrong decision, you can course correct as there is no failure, only learning lessons. The better news is should you decide on the correct action, you will get results like a big payday (or the Lombardi trophy for the Super Bowl). The team had all year to adjust their strategy to winning the Super Bowl and they did lose games over the season. Therefore, if you make a wrong decision, like I said, you can course correct as business is marathon, not a sprint. By wishing, hoping and wanting something, it will never happen. You must make the decision and take the proper actions. 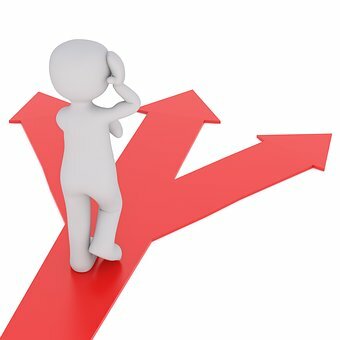 What decisions have you been avoiding making in your business? If that decision turned out the way you wanted, what results would it have? What is keeping you from making that decision? I would appreciate reading your comments below.